Ardabil is a independent country in western Asia. Historically, it provided the nucleus of the new Persian empire, established twelver shiism as the dominant religion in Iran and proved to be a formidable adversary from the east to the Ottomans. 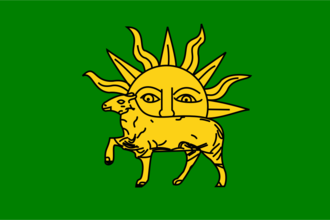 Gilan. Therefore, it is advisable to immediately work on allying one of the larger countries in the vicinity. One way of capitalizing on this alliance is to dogpile on another minor, while it is attacked by another country. Then, vassalize it by force, which will allow you to call a larger ally into a war that it wouldn't have joined normally. Timurids vassal swarm, once Shah Rukh dies. Although Ardabil is unlikely to be in a position to directly benefit, supporting the independence war can give you valuable alliances. Important reminder: Ajami land has Timurid cores. So even if you did manage to conquer provinces from them (most likely using Qara Qoyunlu's armies), you might not want to go to war against the Timurids, since it will stop your construction of cores. Persia, as the permanent claims will immensely aid your expansion, while also allowing several beneficial events to trigger. Control over the Persia area will further give you control over Persia trade node with its valuable trade goods (Silk and Paper most importantly). For this reason it is advisable to prioritize further expansion into the Samarkand, Basra and Hormuz trade nodes to further bolster your income. Ottomans. Your main assets will be your (hopefully) enormous trade income and at least initially the defensible terrain of Persia. As always it is recommended to ally the European rivals of the Ottomans to force them to fight on multiple fronts.